Note: we’ll frequently update this article with new information, so bookmark this page and check back soon. It’s a new LTS (Long Term Support) release. So you get 5 years of support for both the desktop and server version. Named “Bionic Beaver”. The founder of Canonical, Mark Shuttleworth, explained the meaning behind the name.  The mascot is a Beaver because it’s energetic, industrious, and an awesome engineer – which perfectly describes a typical Ubuntu user, and the new Ubuntu release itself. The “Bionic” adjective is due to the increased number of robots that run on the Ubuntu Core. If you’re new to Ubuntu, you may not be familiar the actual version numbers mean. It’s the year and month of the official release. So Ubuntu’s 18.04 official release will be in the 4th month of the year 2018. Ubuntu 17.10 was released in 2017, in the 10th month of the year. November 30th, 2017 – Feature Definition Freeze. January 4th, 2018 – First Alpha release. So if you opted-in to receive new Alpha releases, you’ll get the Alpha 1 update on this date. February 1st, 2018 – Second Alpha release. March 1st, 2018 – Feature Freeze. No new features will be introduced or released. So the development team will only work on improving existing features and fixing bugs. With exceptions, of course. If you’re not a developer or an experienced user, but would still like to try the new Ubuntu ASAP, then I’d personally recommend starting with this release. March 8th, 2018 – First Beta release. If you opted-in for receiving Beta updates, you’ll get your update on this day. March 22nd, 2018 – User Interface Freeze. It means that no further changes or updates will be done to the actual user interface, so if you write documentation, tutorials, and use screenshots, it’s safe to start then. March 29th, 2018 – Documentation String Freeze. There won’t be any edits or new stuff (strings) added to the documentation, so translators can start translating the documentation. April 5th, 2018 – Final Beta release. This is also a good day to start using the new release. April 19th, 2018 – Final Freeze. Everything’s pretty much done now. Images for the release are created and distributed, and will likely not have any changes. 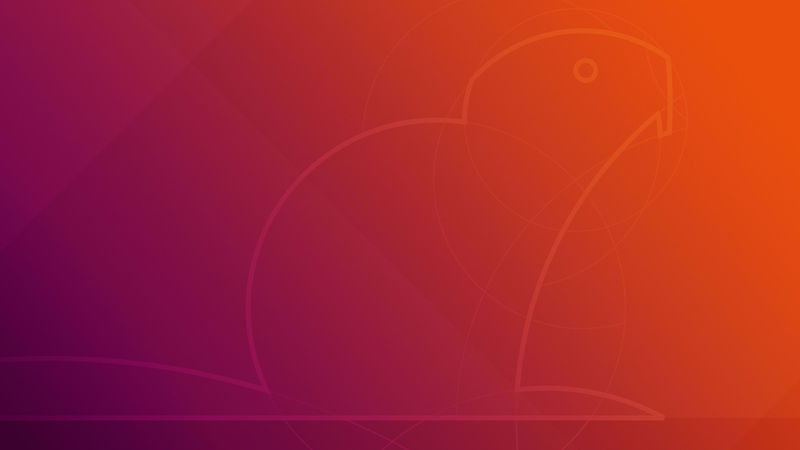 April 26th, 2018 – Official, Final release of Ubuntu 18.04. Everyone should start using it starting this day, even on production servers. We recommend getting an Ubuntu 18.04 server from Vultr and testing out the new features. Servers at Vultr start at $2.5 per month. With previous versions, Ubuntu only supported monochrome (black and white) emojis, which quite frankly, didn’t look so good. Ubuntu 18.04 will support colored emojis by using the Noto Color Emoji font. With 18.04, you can view and add color emojis with ease everywhere. They are supported natively – so you can use them without using 3-rd party apps or installing/configuring anything extra. You can always disable the color emojis by removing the font. 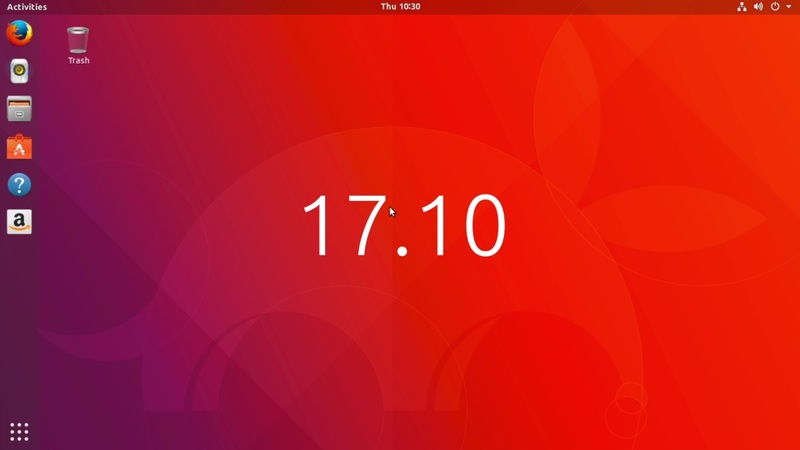 This article will mainly focus on Ubuntu’s changes, but GNOME has also done a lot of changes to their desktop environment, as well as new features. An improved dock, an on-screen keyboard, and more. So check out GNOME’s website for more info. 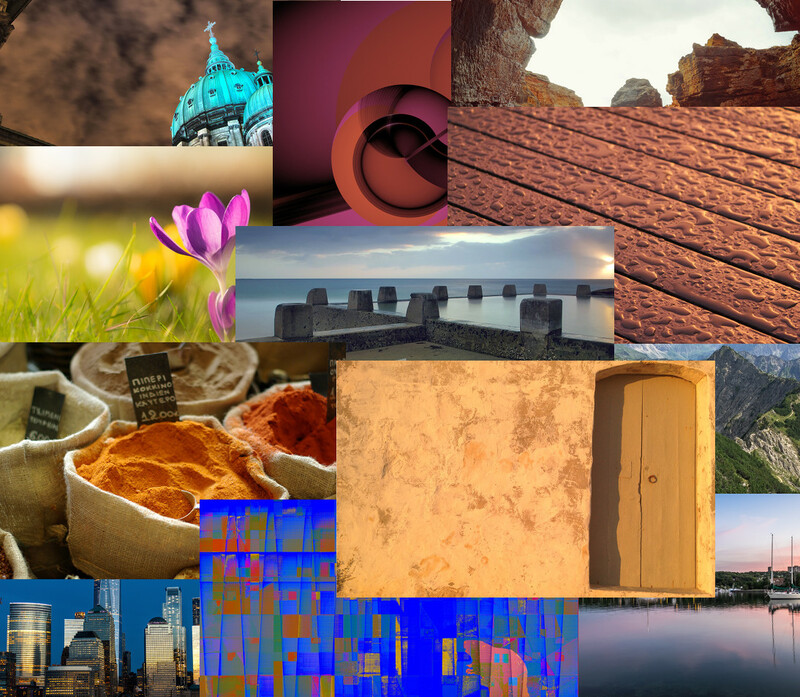 Ubuntu 18.04 is saying Goodbye to the old ‘Ambience’ theme with a new GTK theme. If you want to help with the new theme, check out some screenshots and more, go here. It may not be default, but it most probably will. UPDATE: Ubuntu 18.04 will ship with Ambience and it won’t use a new theme by default. The new Communitheme won’t even be installed. The Desktop team has decided to do this for various reasons, including bugs and lack of testing. Luckily, you can still use the Communitheme, but you’ll have to install it yourself. The Communitheme can be installed easily via a snap, but you can always install it manually by following the instructions below. To start using it, you need to log out, and when logging back in, select the new theme. For more information, visit the Communitheme GitHub repo. They’ve also fixed hundreds of bugs and made hundreds of other small improvements. The new LTS desktop release will ship with a new app pre-installed by default. The app is GNOME To Do and it’s a very useful app for organizing lists, tasks, and more. You can prioritize them. color them, set due dates, and a number of other features. Ubuntu 18.04 will use Ubiquity, the Ubuntu installer you’re probably already familiar with. Though the developers plan on implementing Subiquity, 18.04 will use Ubiquity, which will have a new “minimal install” option that you can choose during setup. Minimal install basically means the same Ubuntu, but without most of the pre-installed software. The minimal install option does not make Ubuntu 18.04 lightweight. It only saves about 500 MB. The minimal Ubuntu 18.04 version is only 28MB in size (when compressed). If you need a lightweight alternative, use something like Lubuntu. Ubuntu 18.04 will collect data like the Ubuntu flavor you’re using, hardware stats, your country etc. Anyone can opt-out of this, but it’s enabled by default. What’s interesting about this is that the data they collect will be public, and no sensitive data will be collected. so most of the Ubuntu community supports this decision. They been planning on using snaps for a while, and they finally shipped GNOME Calculator as a snap instead of a deb. This is a test to help the Desktop team find and fix any bugs. They’ll later on move more applications to snap in the final release. Using snaps will make the process of installing and updating apps much easier. You can even install snaps on any distro and device. Ubuntu’s daily builds started to ship with Linux Kernel 4.15 by default – the latest stable release of the Linux kernel. 4.15 has fixed the Spectre and Meltdown issues, among other things. You can download the full (8K) .png version here. There’s also a black and white version available here. You can read this ovierview on Ubuntu.com for 18.04 which includes screenshots. Worth noting: all new features in Ubuntu 16.10, 17.04, and 17.10 will roll through to Ubuntu 18.04. So updates like Window buttons to the right, a better login screen, improved Bluetooth support etc. will roll out to Ubuntu 18.04. We won’t include a special section since it’s not really new to Ubuntu 18.04 itself. If you want to learn more about all the changes from 16.04 to 18.04, google it for each version in between. First off, if you’re already using Ubuntu, you can just upgrade to Ubuntu 18.04. Now for some of the frequently asked questions (with answers) that should give you more information about all of this. Will I be able to add icons to my desktop on Ubuntu 18.04? Since version 3.28, GNOME has removed the option to put icons on your desktop, as well as some other features of managing your desktop. So naturally, people are wondering if they’ll be able to put icons on their Ubuntu 18.04 desktop since Ubuntu 18.04 will be using the latest GNOME. The answer is yes. You’ll still be able to put icons on your desktop because the Ubuntu desktop team has decided to stick to the older version of GNOME’s file manager, which still has the desktop features. It will only stick back to the older version of Nautilus (Nautilus 3.26), but will keep all the latest releases of everything else in GNOME. So no worries. Desktop in Ubuntu 18.04 is fine. When is it safe to switch to Ubuntu 18.04? On the official final release date, of course. But if you can’t wait, start using the desktop version on March 1st, 2018, and start testing out the server version on April 5th, 2018. But for you to truly be “safe”, you’ll need to wait for the final release, maybe even more so the 3-rd party services and apps you are using are tested and working well on the new release. How do I upgrade my server to Ubuntu 18.04? It’s a fairly simple process but has huge potential risks. We may publish a tutorial sometime in the near future, but you’ll basically need to use ‘do-release-upgrade’. Again, upgrading your server has potential risks, and if you’re on a production server, I’d think twice before upgrading. Especially if you’re on 16.04 which has a few years of support left. How can I help with Ubuntu 18.04? Spreading the word. Let people know about Ubuntu 18.04. A simple share on social media helps a bit too. Using and testing the release. Start using the release and test it. Again, you don’t have to be a developer. You can still find and report bugs, or send feedback. Translating. Join the translating teams and start translating documentation and/or applications. What does Ubuntu 18.04 mean for other distros like Lubuntu? All distros that are based on Ubuntu will have similar new features and a similar release schedule. You’ll need to check your distro’s official website for more information. Is Ubuntu 18.04 an LTS release? Yes, Ubuntu 18.04 is an LTS (Long Term Support) release, so you’ll get support for 5 years. Can I switch from Windows/OS X to Ubuntu 18.04? Of course! You’ll most likely experience a performance boost too. Switching from a different OS to Ubuntu is fairly easy, there are quite a lot of tutorials for doing that. You can even set up a dual-boot where you’ll be using multiple OSes, so you can use both Windows and Ubuntu 18.04. 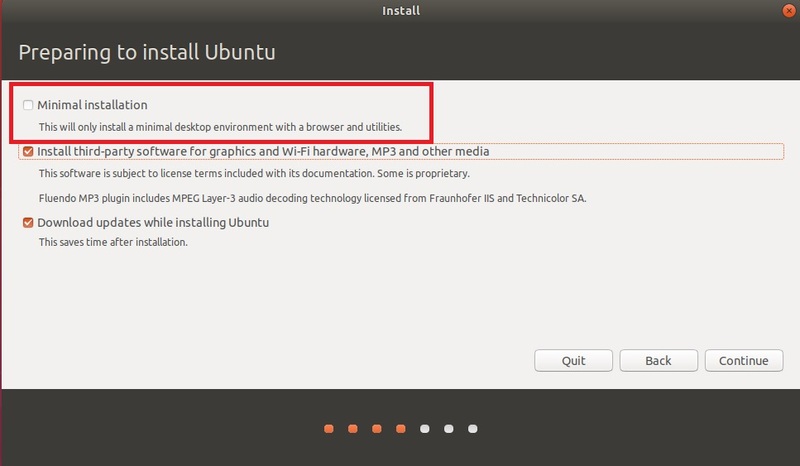 Can I try Ubuntu 18.04 without installing it? Sure. You can use something like VirtualBox to create a “virtual desktop” – you can install it on your local machine and use Ubuntu 18.04 without actually installing Ubuntu. Or you can try an Ubuntu 18.04 server at Vultr for $2.5 per month. It’s essentially free if you use some free credits. Why can’t I find a 32-bit version of Ubuntu 18.04? Because there is no 32bit version. Ubuntu dropped 32bit versions with its 17.10 release. If you’re using old hardware, you’re better off using a different lightweight Linux distro instead of Ubuntu 18.04 anyway. This was an interesting video and point of view we’d like to share. Leave a comment below! Share your thoughts, we’re super excited and we’re gonna update this article as soon as new information comes in. Stay tuned and be patient! Since everyone knows that Gnome is cancer (right? ), what about KDE in 18.04 LTS? Ubuntu is a popular distro for the masses. It is advertised as linux for humans. KDE can’t be the default. Too many confusing settings, a normal user can break everything by tweaking them. They can’t afford to have a confusing for normal people desktop. KDE is for geeks. I presume the ‘spins’ that are usually available will continue to be available… Kubuntu for KDE, Lubuntu for LXDE, Xubuntu for XFCE, etc. If I am not mistaken, Gnome was the desktop earlier. I did not find any problem in using it or Unity now. Neither my laptop, nor am I suffering from cancer. I am a normal user without any understanding of the working of the innards of OS or the hardware. With due respect, the ‘cancer’ has helped spread the use of Linux among normal users. hello, guys don’t fight together. MR (yeah pal) its mean that KDE is really lighter than gnome. but a gnome desktop is user-friendly for such user like you. but for programmers (i dont know maybe you are) kde is better. and another reason is battery life.kde is really better in it. another reason is the gnome will stop some tasks on the server. I’ll put a link for you to look at it. Is 14.15 still the target Linux version? 16.04 has been rock solid. Only reason for me to go for this is USBGuard! I have no idea who selected the default wallpaper for the new GTK theme, but I doubt that the person spend much time staring at the screen. Those brilliant colors would be blinding. While I’m a Linux guy, when it comes to ergonomics, Apple sets the industry standard. I am running 14.04 and 16.04 both 32 bit, two computers, both dual core. When I upgraded from Vista 32 bit on a dual core computer to Windows 7 64 bit I had to do a clean install. I had to transfer the files using a USB stick. When I upgrade to 18.04 which only comes in 64 bit will I have to to do a clean install? You can reinstall all packages you’ve previously had installed though, which is easier. Do a clean install, reinstall all your previous packages and that’s it. My Ubuntu 18.04 is working perfectly, but only with Cinnamon Desktop. Without, it bugs when I slide a file from a USB key to the desktop. The mouse is then inefficient. Same issue with 17.10. Mon Ubuntu 18.04 fonctionne à merveille avec le bureau Cinnamon. Il beugue si je n’installe pas Cinnamon. La souris devient inopérante sur le bureau après avoir manipulé des fichiers entre une clé USB et le bureau. Même problème avec la version 17.10. “Why Ubuntu 18.04 Should Use KDE Plasma Instead of GNOME”, what about XFCE ou Cinnamon ? They use less RAM than KDE or GNOME, no ? Make a DUAL PANEL (F3) available in File Manager ! How can I get gksudo nautilus working in ubuntu 18.04 ? wird 18.04 lts mit amd raven ridge, z.b. ryzen 3 2200g zusammen arbeiten? meine nächste hardware ist ein solches system. wenn nicht, werde ich bis auf weiteres bei win bleiben. Please fix the text “The Ubuntu Desktop team has greately imrpoved and”. Ubuntu themselves don’t update production systems until the first point release. That would be 18.04.1 before switching production machines. If you’re on the LTS version then it won’t offer updating the release until that time. This usually happens way after the final release. 18.04 in april … its like X-mas all over again … can’t wait !!! I like Linux Mint MATE user interface. Linux is so much better than Windows 10 in most aspects. The best thing about Linux is they let you pick which interface and software you want unlike Microsoft and their forced software updates, one size fits all, we do not care what you think. I like MATE interface but the Cinnamon and Gnome user interfaces are tolerable to me as well. I do not care for KDE Plasma. What a boring video about why Canonical should use KDE (Qt) instead of Gnome (GTK). They made their choice. I’m very happy with the decision because Gnome is so fast and easy to use. It’s just the best desktop in the world. KDE is a Windows 7 like offering and also massively bloated in code base terms. We don’t need that people. We need ease of use and smaller, nimbler code base. Go Gnome all the way. Uhm saying that there is no 32 bit version is not true, there is but not in ISO form. But if you have running Ubuntu on 32 bit and you want 18.04 you can just upgrade to it, but not from scratch like a iso. What is the alternate for Likewiseopen software that is being used to get an Active Directory user logged on on Ubuntu? Can I use SSSD on Desktop as well? Since it’s mentioned in server package list. It should be pointed out that it’s officially recommended to wait before upgrading in-place (e.g., `do-release-upgrade`) 16.04 to 18.04 until a few days after 18.04.1 comes out in July. upgraded in may & find the version is unusable due to configuration problems. 2 keyboards appear onscreen with no apparent way of removing them, & the @ sign has disappeared. For universal usage, it needs to be more user-friendly, particularly for the nontechnical user! Back to antiquity? Just attempted to upgrade from 14.04 to 18.04, yes attempted. Then I went out to buy cables to install a disk laying around (perhaps just for this moment) and attempted to install 18.04 with the 14.04 disk still attached. Finally, I removed the 14.04 disk and the installation went well. Now I must deal with installing the software packages I use and dealing with gnome. Now to KDE plasma. Thanks for your article. Before doing anything else I am going to try KDE Plasma before continuing with gnome. Where is the tutorial? for 14.04 or 18.04? Ubuntu 18.04 is awesome. Have been using it for a month now.Sorry new to Linux but already loving it.